To celebrate 2018’s designation as the Year of the Bird, Tom Keller, the bobwhite quail and wild pheasant biologist with the Pennsylvania Game Commission (PGC), will discuss the reintroduction of the Northern Bobwhite Quail to the Letterkenny Army Depot area. Once a popular game bird and a beloved mascot of the Pennsylvania farmer, the bobwhite quail has virtually vanished from the farms and fields of the Commonwealth. In this program, Keller will discuss the quail’s storied history within the state and talk about what happened to the population and why. 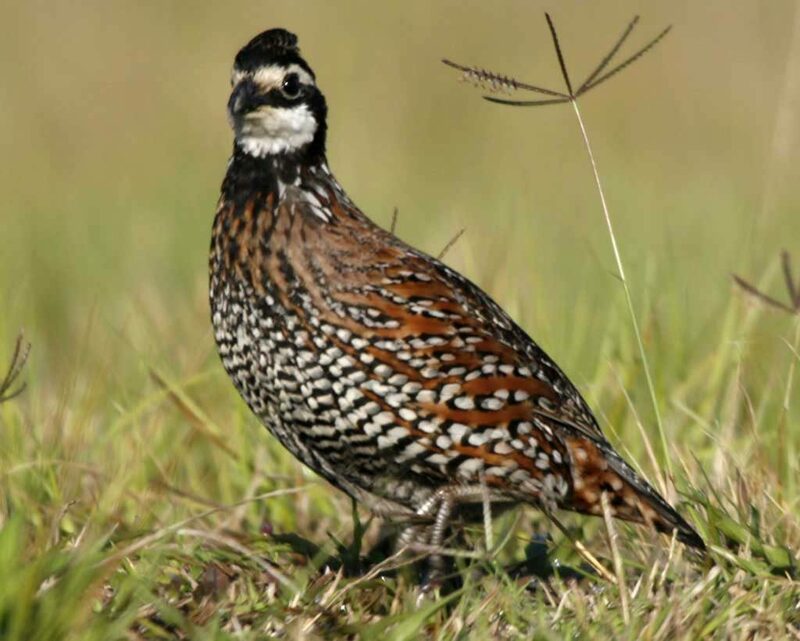 “We’ll cover basic bobwhite biology throughout the year, looking at the four seasons and not only what quail are doing at those times, but where they can be found and why,” Keller said. “The program will finish with a look at the future of the bobwhite and talk about the importance of partnerships, and how this lost native is rallying people to bring back the ‘Bob-Bob White!’ to the keystone state,” Keller said. Keller has has worked extensively with this project, and authored a 10-year management plan for the restoration effort. He holds a bachelor’s degree in wildlife and fisheries science from the Pennsylvania State University, and a master’s degree in environmental studies and conservation biology from Green Mountain College in Vermont. Prior to his current position, he served as a regional biologist in the southwest region of the state for the PGC, and before that as a wildlife specialist with the USDA in Ohio, working with wildlife disease and human/wildlife conflict mitigation. Keller is an avid sportsman and outdoorsman who enjoys spending time with family and friends in the woods, field, or stream. A native of Cumberland County, he resides there with his wife and daughter, farming the same land as his grandfather 60 years before. Recently, the PGC recognized Letterkenny Army Depot as the state’s first Bobwhite Quail Focal Area. Keller’s presentation is free, and questions from the audience are welcome.